With Halloween and Thanksgiving just passed, people are getting prepared for their Christmas light and decoration displays. 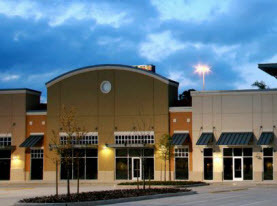 With lights and mechanical décor, electrical needs are in high demand. Homeowners can get better equipped for the upcoming entertainment by preparing their electrical system for the load. With that in mind, we at Peterkin Electric would like to offer some suggestions on what would be optimal for your electrical system. Outdoor Electrical Outlets: For easier and safer holiday lighting displays, whether you indulge in Halloween displays now or simply want to ready your home in time for the major holidays, adding outdoor outlets is ideal. Typically, a GFCI, or ground fault circuit interrupter, outdoor outlets are specifically designed to withstand the elements. By tripping the circuit when it senses an electrical imbalance, everyone is safeguarded from potential shock or electrocution. 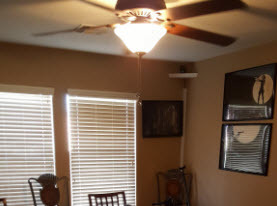 Dedicated Circuits: Instead of unsafely running extension cords and/or popping a window open to plug in your lights and displays, in addition to handling the extra electrical demand and avoid overloading the circuit breaker, you can install a dedicated circuit. You can have a dedicated circuit for not only your holiday lights, but for your nonseasonal outdoor lights as well. This dedicated circuit is where an outlet is directly wired to its own circuit breaker and has an exclusive intended use. Programmable Light Timer. 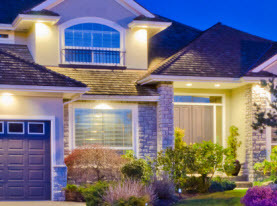 Installing a light switch that specifically connects to your holiday lighting display is an ideal solution for your convenience, safety, and efficiency. This will expedite the on and off needs significantly and simplify the process tremendously. 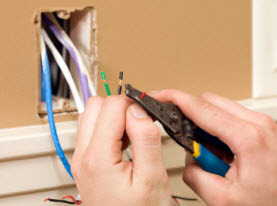 DIY or Hire an Electrician Pro? Where many people enjoy creating the impressive displays, it is essential that you do not attempt any electrical installations or upgrades without proper training and experience. To enhance your electrical capabilities in time for the holidays, be sure to contact a professional to avoid property damage and more importantly, keep you and everyone around you safe. 1) Consider investing in lights with LED bulbs, they are more energy efficient and can better manage your electrical use and bill. 2) Use electric candles instead of real ones. 3) Utilize a sturdy ladder when hanging high lights. 4) Do not nail or staple the light cords, use plastic clips to secure the lights instead. 5) Should you need to use extension cords, make sure they are secure to a surface to avoid tripping over them. Electrical Fixture Installations & More in Laguna Woods, Santa Ana, Newport Beach, Huntington Beach, Laguna Beach, Aliso Viejo, Costa Mesa, Fountain Valley, Irvine, Lake Forest & Orange County, California. When you need to install or upgrade your electrical system to your Orange County California home, call Peterkin Electric. We can get the electrical upgrades and installations you need to make your Christmas, or any other light display simple to use and more efficient to your energy consumption, as well as more importantly, safer. Our technicians are more than ready to take on any of your electrical projects.